Dating is rarely an easy feat, but it only becomes more difficult when you have anxiety. For people with anxiety, dating can feel like a minefield, making it hard to get close to someone and even harder to maintain a healthy relationship in the long-term. 18.1 percent of the adult population is thought to struggle with anxiety, but just 36.9 percent of those afflicted actually get treatment for the condition. While many people with anxiety realize that their condition is getting in the way of them putting themselves out there, truly understanding the way this disorder, especially if left untreated, can wreak havoc on personal relationships, isn’t quite so simple. Unfortunately, if you’re dealing with anxiety, discover how it could be standing between you and true happiness before it’s too late. 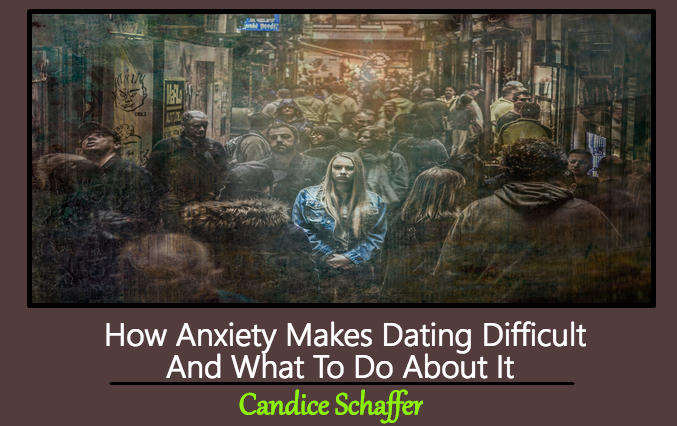 Keep reading to learn how anxiety makes dating difficult and what role it could be playing in your romantic difficulties. While many people with anxiety find a way to get comfortable with a romantic partner, the initial stages of a relationship can feel difficult, if not impossible. Particularly in the digital age, where dates are a swipe away, it can be hard for people with anxiety to decide to put themselves out there in the first place. Those voices that keep telling you that you’re not good enough, aren’t smart enough, or that nobody will pick you on a dating site, keep many people struggling with anxiety from putting themselves out there in the first place. What to do about it? The good news is that all it takes is summoning your courage a single time to give you the nerve you need to do it again. Even if you’ve taken the first step and created a dating profile at home or have asked your friends to set you up, anxiety can make it difficult to take things further. For many people with anxiety, even if you’ve met someone you think is amazing and would like to see more of, your anxiety often gets in the way. Even when someone else is expressing interest, many men and women struggling with anxiety can’t imagine that they’d actually snag such a catch. Worse yet, those nagging feelings that you’re not good enough or will end up ruining any relationship you start can make it feel virtually impossible to really get close to a partner. What to do about it? If you’re feeling overwhelmed by feelings of anxiety, ask a friend to help you draft your responses; they’ll probably give you some much-needed reassurance about how great you are, as well. Getting intimate with a new partner can be awkward for anyone, but for people with anxiety, it can feel close to impossible. 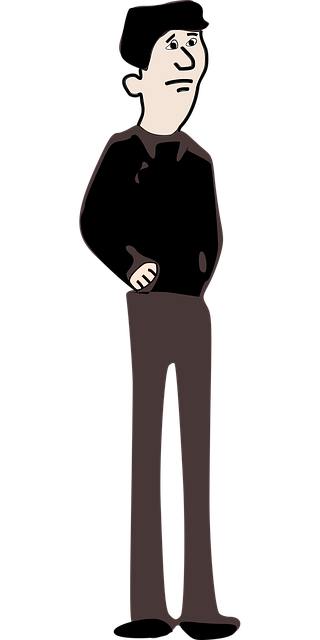 That anxiety voice inside your head is often accompanied by thoughts that you’re not attractive, or other somewhat dysmorphic feelings and behavior. And the shame-adjacent feelings that anxiety often triggers can make it feel silly to put yourself out there and reveal so much of yourself, both physically and emotionally, to another person. What to do about it? If you’re finding it hard to open up, try picturing that person as a friend, rather than a romantic partner, and proceeding from there. While getting over the initial hurdle of taking that blind date or setting up a Tinder profile is huge, that’s hardly where the hurdles end for people with anxiety. Anxiety often keeps people from showing their true selves to others, even to romantic partners, making it hard to achieve the level of closeness most people seek from a relationship. And, unfortunately, if you’re not opening up to your partner, your relationship can’t blossom the way you want it to. What to do about it? Ask your partner to tell you when you’re acting closed off and the two of you can work through it together instead of letting it become a source of resentment between you. This can be done casually at home where you’re most comfortable. One of the uglier sides of anxiety is its ability to make even a loving, committed partner seem untrustworthy. Anxiety can often serve as a precursor to jealousy, with the little anxiety voice inside your head telling you that your partner is being unfaithful or that they’ll eventually get tired of you. While most people find themselves feeling jealous from time to time, anxiety can often distort situations, making your spouse’s work friend suddenly seem like your competition out of nowhere. What to do about it? When jealousy starts to get the best of you, remind yourself that anyone determined to be unfaithful will be, but the vast majority of people don’t actually betray their significant others in that way. And remember, while it’s unlikely your spouse will actually cheat, acting irrational will certainly drive them away. While many mature adults can remain friends with their exes, it’s significantly harder to do so when you’re suffering from an anxiety disorder. Anxiety can put up a barrier between you and your ex, even if you ended the relationship on good terms. In fact, according to a 2010 study conducted at Stanford University, people with anxiety disorder process their emotions differently than those without, often heightening their emotional response to a variety of situations. And when your anxiety has got you feeling threatened and defensive, it’s hard to form a healthy friendship with anyone, especially an ex. What to do about it? Fortunately, being upfront about your anxiety in the early stages of a relationship and trying to work through those issues with your partner will make it easier to stay friends in the long run. A true friend will be there for you, even when your mental health issues make it difficult, after all. This Concludes: How Anxiety Makes Dating Difficult And What To Do About It. What Did You Think Of This Post? Please Let Us Know By Rating Below!